The Rock Bush Quail is native to India mainly on the western side. Usually you will see them in groups walking along or crossing small pathways in the bushes. 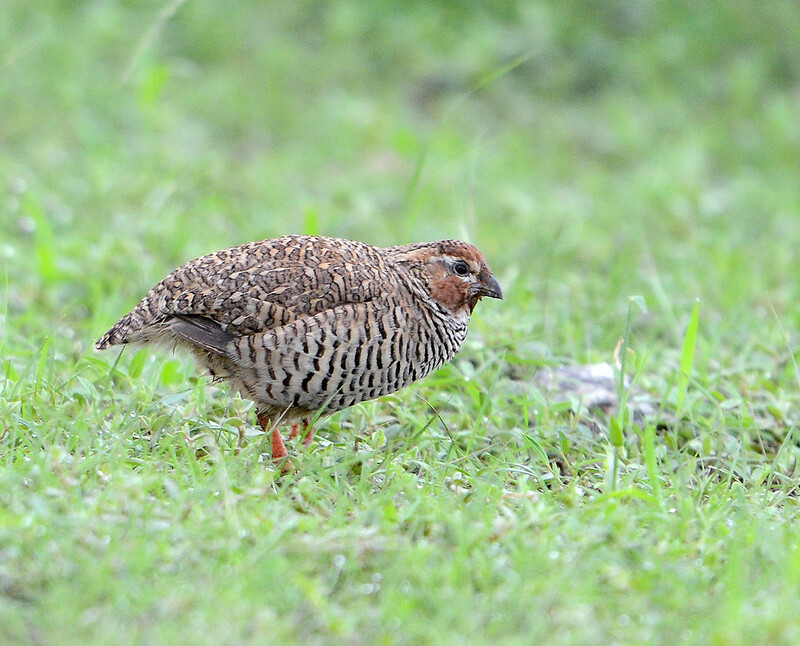 It is very similar to the jungle bush quail. It can be distinguished from the Jungle Bush Quail as it does not have the white mustache stripe and the ear coverts are dull as compared to the Jungle Bush Quail. For bird topography watch this video. The Rock Bush Quail is found in Haryana, New Delhi, Rajasthan, parts of Uttar Pradesh, Madhya Pradesh, Gujarat, Maharashtra, Goa, Karnataka, parts of Andhra Pradesh, parts of Telangana, In the recent survey Rock Bush Quail was not recorded in Kerala. Southern India is rich in Galliformes but not much information is available and more surveys are required.